Jocks in the locker room, beautiful girls in the halls, a party while mom's away, and fights between friends. Centered on popular high school swimmers Franky Winter (Josh Wiggins) and Ballas Kohl (Darren Mann) — two lifelong friends growing up in Ontario who have a falling out after a confusing drunken encounter on one's seventeenth birthday — at first glance, writer-director Kyle Behrman's Giant Little Ones is everything we've come to expect in a coming-of-age teen movie. But, unafraid of silence and ambiguity and filled with hypnotic, unhurried takes which invite us to take a moment and figuratively breathe the same air that the characters do, it doesn't take us long to realize that there's so much more going on beneath the surface of this heartfelt and at times harrowing portrait of teenage sexuality than we might have imagined going in. Refusing to pin a label on any of its main characters — besides the film's concerned parents who, played by Kyle McLachlan and Maria Bello are going through existential crises of their own — Kyle Behrman's intelligent, understated sleeper will resonate with those who've had enough of Hollywood's stereotypical whip smart, worldly teens with all the answers and are instead searching for something real. With the artistry of a Sofia Coppola picture and potent performances by its ensemble cast, the character driven Giant is anchored by the staggering turns of leads Josh Wiggins and Darren Mann as two conflicted friends who go from brothers to enemies practically overnight, along with a moving performance by Taylor Hickson as a girl who finds herself unexpectedly caught in the middle. Likewise, it's the type of film that's so thoughtfully conceived that even its peripheral characters feel just as fascinating and fully realized as the two at the heart of the endeavor. 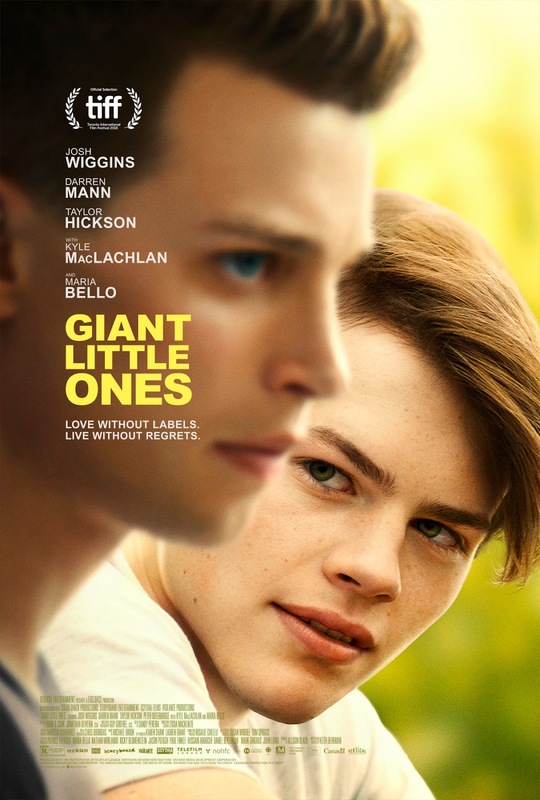 Intended as a film version of a pop song, Giant Little Ones is a small, tenderly crafted drama that's not only sure to stick with you but bound to take up a great space in your heart.